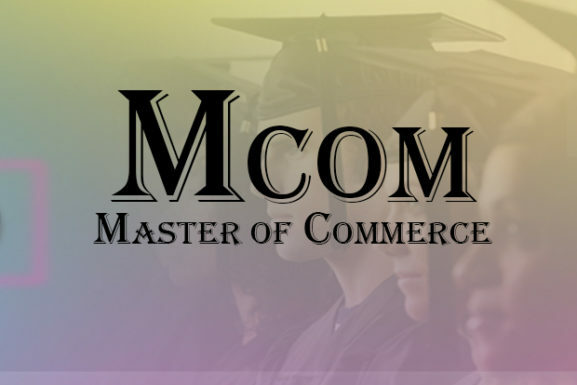 The department of Masters of Commerce had a very colourful academic year. We had a good number of admissions this year. For the first time, we have appointed different ambassadors for the academic year along with the class representatives. Miss Ramsheena P A of II masters is appointed as cultural ambassador, Miss Nivya K M as Green ambassador, Mr Nanjappa C K as Fest event ambassador, Miss Kavana for other events and Miss Seethamma for Finance. Mr Kasim V M and Miss Poovamma of II M Com and Miss Vidyavathy and Mr Ganapathy were unanimously selected as the class representatives. Miss Poovamma was selected as the Vice President for the student Union. On 1st August the department had tree Plantation Programme. We planted Jackfruit, Bamboo, Deepa and Gulaganji saplings this year. The orientation programme for the juniors was held on 1/08/2017 to welcome and introduce the department to the first years. The students participated in a two days leadership training camp conducted in the college by the Forum of Free Entreprises, Mumbai on 2nd and 3rd Aug where Mr Vivek Patki and Mr Rajiv Luv were the resource persons. Miss Ramsheena, Miss Seethamma, Miss Kathyayini, Miss Meghana, Miss Rohini G T, Miss Vamshi M B, Miss Yashika, Miss Renjini, Miss Monika V J, Miss Soniya, Miss Chaithra K M, Miss Arpitha, Miss Teena A S, Miss Philomina Vaz, Mrs Abhilasha, Miss Tincy P J and Mr Shan Karumbaiah. Our Department had visited “Campco Chocolate Factory”, Puttur as part of industrial visit and visited the farm at Uppinangady. Mr Jithendra Joshi from Wellness Academy, Bengaluru has conducted a one day personality development camp on 11th Nov 2017. Children’s day was conducted with great festivity on 14 Nov. The students were made to feel as if they are in their school again. They played all school level games and enjoyed a lot. Ethnic day, to showcase the culture and tradition of the soil was celebrated on 29th Nov. On 17th Jan 2018, we had a recruitment drive conducted by LIC of India, Virajpet branch. 30 of our students got shortlisted for the next round. We have organised a state level Commerce and Management Fest Saakshaathkaara 2018 on 25th Jan. 14 teams from different colleges of Mangalore and Mysuru Universities have taken part in the same. University Oof Mysore lifted the winner’s trophy and SDM Ujire lifted the runner’s trophy. Nine of our students have taken part in the cultural fest organised by St Philomina’s College, Puttur. On 26th Feb, the department hosted a district level “Student Paper Presentation Contest” on “Workable Solutions to Bring Back the Glory of Monsoon Rains to Kodagu”. A total of 15 papers were presented by the students of different colleges. The “Best Paper Award” was lifted by the students of St Annes College, Virajpet and the “Best Presentation Award” was lifted by the students of Forestry College. The programme was to give awareness to the students about the importance of the monsoon rains. The department has visited Munnar, Ernakulam and other places of Kerala in the month of April as a part of Educational Tour. Cauvery college located in the hilly region is an open window for the seekers of Higher Education. It belives in self-relization and self-reliance and has an objective to serve all those who come under its fold, giving them a good education,teaching them skills and providing its learners a plethora of programmes to discover themselves.